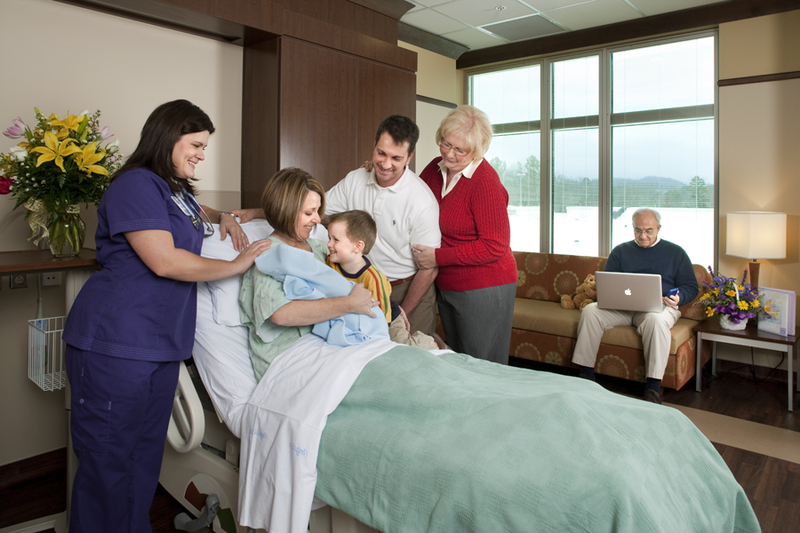 LeConte’s Dolly Parton Birthing Unit offers family-centered maternity care in beautiful rooms, complete with views of the Smoky Mountains. The birth of a baby is an exciting time for a family. Expectant parents are often busy choosing baby names and nursery colors, stocking up on diapers and baby-proofing the house. But it’s also important to choose a birthing center, like the Dolly Parton Birthing Unit at Leconte Medical Center. In fact, eight out of ten Sevier County parents choose to have their babies at LeConte. Located on the 2nd floor of our beautiful building, the Dolly Parting Birthing Unit is a modern, comfortable, family-oriented facility, providing both the personal attention and medical technology for a memorable and pleasant birthing experience. Whether it’s your first child or a new addition to a growing family, at the LeConte Medical Center, we know the birth of a new baby is a unique and special moment. We are privileged to be a part of your family’s decision! Expectant parents are encouraged to enroll in the New Beginnings Childbirth Class offered by the Birthing Unit staff. Sibling and grandparent classes are also available upon request. Looking for your baby’s photos? Click here to visit our Net Nursery (must have a code from the baby’s mother to view). 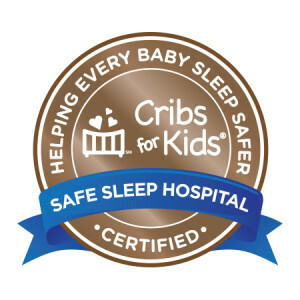 LeConte’s Dolly Parton Birthing Unit has been certified as a Safe Sleep Hospital, providing education and vital tools about safe sleep to the parents of newborns delivered in the Unit. Our Dolly Parton Birthing Unit not only meets the needs of new mothers, but also women of all ages. The Unit includes private rooms for patients who have received gynecological care other women’s clinical services.